PanARMENIAN.Net - Cuba announced a landmark deal on Thursday, January 5 to sell charcoal to a U.S. company, the first legal Cuban export to the United States in five decades, as part of the fragile rapprochement between the former Cold War foes, Reuters says. The sale of 40 tonnes of charcoal derived from the woody plant marabu comes at a time when the two-year U.S.-Cuban detente looks under threat. It is also largely symbolic, given that it is worth around $17,000. The first delivery is scheduled for January 18, two days before the inauguration as U.S. President-elect Donald Trump, who has threatened to row back on the normalization of U.S.-Cuba relations unless he gets a "better deal". "This is a first contract but we hope to continue our relationship for many years and not just with vegetal charcoal, but other products that we have ready to export like honey and coffee," Isabel O’Reilly, the director of state exporter Cubaexport, told Cuba's official media outlet Cubadebate. While a damaging U.S. trade embargo on Cuba remains in place, outgoing President Barack Obama has facilitated some commercial links with executive orders. Obama's administration eased restrictions on imports of goods and services from private Cuban entrepreneurs in early 2015. It was unclear, however, how this would work in practice given that individuals cannot independently import and export products or services under Cuban law. Under the charcoal deal, private cooperatives will deliver the product to a local packager that will sell it on to state-run export firm CubaExpo, which in turn will deal directly with U.S. company Coabana Trading LLC. Coabana Trading will pay $420 per tonne, above the usual market price of $340 to $380 per tonne for Cuban charcoal, Cubadebate quoted O'Reilly as saying. Cuba exports up to 80,000 tonnes of charcoal per year to about six different countries and was also seeking to sell it to Great Britain and Germany, Cubadebate said. Cuba and the Obama administration have been scrambling to deepen and cement their detente, through bilateral agreements and commercial links, since Trump's election in November. 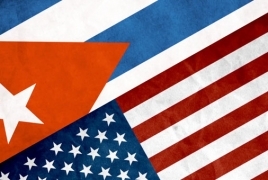 Increased trade with the United States would be welcome news for the beleaguered Cuban economy, which fell into a recession last year in the wake of the political and economic crisis in its strategic ally Venezuela.